1.5 Turbo w/ Great Fuel Economy / Sunscape Sunroof / Remote Start / Rear Camera ~ Plenty to Love! The 2018 Chevrolet Malibu is on the third year of its generation. It was redesigned for 2016 to bring substantially improved handling and road manners. Malibu gets five stars in crash testing from the National Highway Traffic Safety Administration. The Insurance Institute for Highway Safety gave it a Top Safety Pick award. Malibu LT comes with 17-inch wheels, LED headlights and daytime running lights, satellite radio, heated power mirrors, and power driver's seat. Malibu is one of the most spacious midsize sedans, enhanced by a thoughtful layout and clever packaging. Back-seat legroom reaches 38.1 inches, close to Impala space. The cabin features a conventionally styled, relatively low dashboard, expanded toward the corners. The center stack contains a 7.0-inch touchscreen. Many owners are likely to welcome the use of control buttons. The Malibu feels light and nimble, a pleasure to drive, compared to most midsize sedans. It's impressively agile. The 1.5-liter turbo gets by fine, even on long freeway jaunts, with its 163 horsepower. The only time it really works hard is on mountain grades. Even when it's pushed, the engine stays quiet. The 6-speed automatic upshifts at the right time. 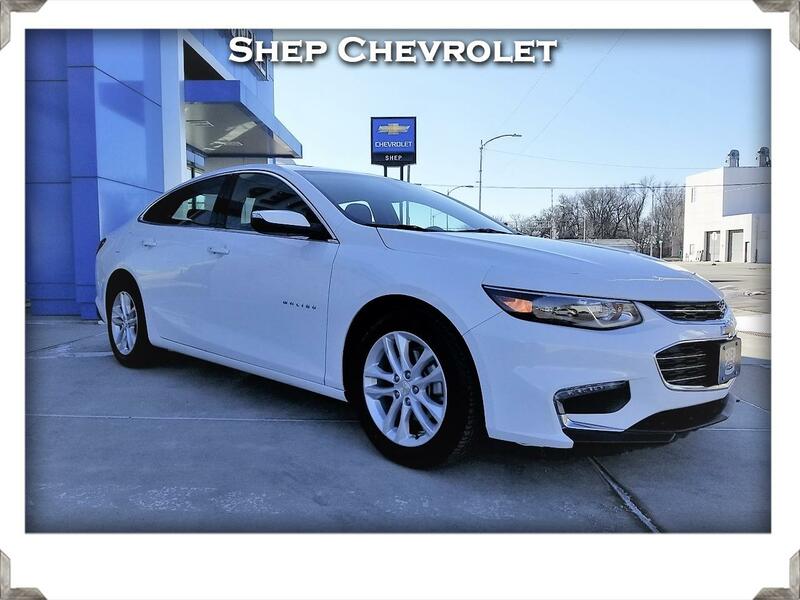 The Chevy Malibu delivers composed handling, quiet ride, efficient powertrains, comfortable interior, good value, affordable, spacious for a midsize, 30 mpg with the base 1.5-liter turbo having enough horsepower and torque to be there for you. Warranty Description: Factory Bumper to Bumper Limited Warranty w/ $0 Deductible: Remains in effect until 9/6/2020 or 36,009 miles, whichever comes first._____________________________________________________________ Factory Power Train Limited Warranty w/ $0 Deductible: Remains in effect until 9/6/2022 or 60,009 miles, whichever comes first.